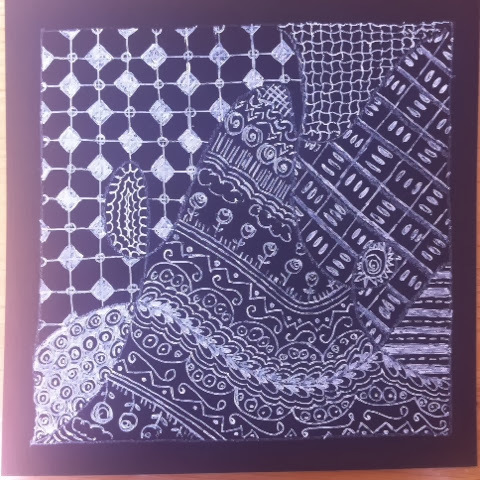 This is Zentangle® in white ink on black paper. 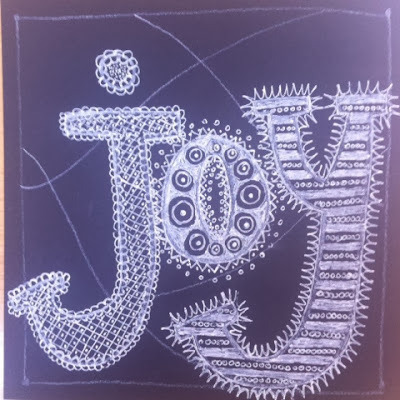 A fun twist to the art form. 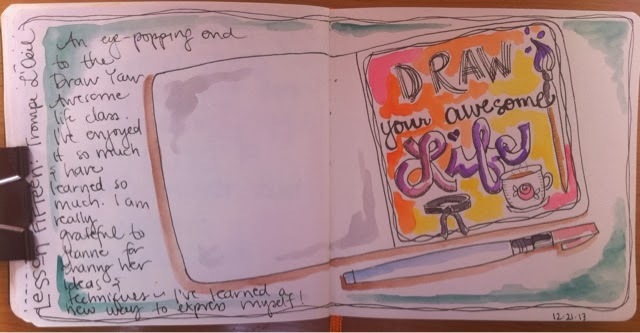 The last entry for my Draw Your Awesome Life class. I still have a couple of lessons to complete from the middle of the course, but it's nice to have reached the end. 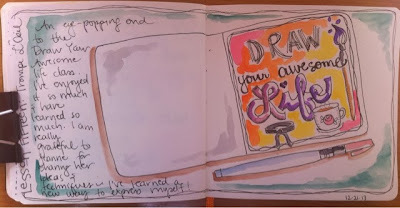 I'm looking forward to Draw Your Awesome Life 2 which will be drawing my awesome life in 2014. This one is still a work in progress.